Frankly, we relish the opportunity to share our favourite hot dog joints in Brisbane with you, lovely reader! 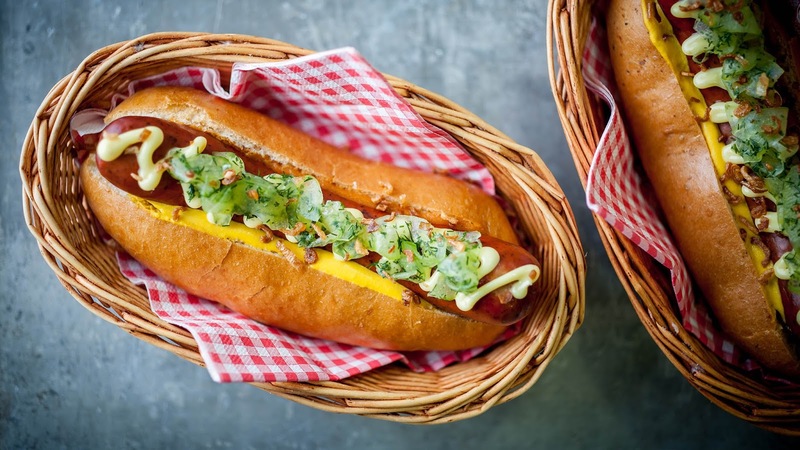 When we look for the perfect hot dog there are 3 VERY IMPORTANT things we consider... Those things are: Bun Quality, Condiment Quality, and (most importantly) how well the sausage is cooked. If anyone knows what it takes to make a great hot dog it's Mr. America Hot Dogs & Fries! These guys have spent countless hours studying the classic American hot dog, and have the art of hot dogging down to a science. We can always count on them for a great dog, and for under $10 - can't beat it! To find out where Mr. America Food Truck is rolling to next, check them out on Facebook - click here. Yes, not only do Red Hook serve up some of the most epic, taste tingling, juicy cheeseburgers you have every seen. They also do a pretty mean kransky hot dog with bbq onion, American pickle, and crispy shallots! NY Brew Company - home of the pretzel buns. You simply haven't lived until you've tried one of their droolworthy dogs on a perfectly golden brown pretzel bun! Now you wouldn't expect to find the hot dog of your dreams at Lavosh Patisserie. This well established Red Hill patisserie is widely revered for its killer freshly baked bagels, but on a bagel run over the weekend we learned that they whip up one hell of a chili dog. Loaded up with spicy chili and cheese, the chili dog comes with a side of tortilla chips which we thoroughly enjoyed stuffing inside the bun for a nice crunch! Gourmet Hot Dogz are taking hot dogs to the next level with some pretty sensational toppings. These gourmet dogs are guaranteed to put a smile on your face with creations like the Caramelised Onion & Crispy French Fries, and Bourbon BBQ. To find out where Gourmet H-Dogz is rolling to next be sure to check them out on Facbeook. Where's your favourite spot to ketchup with mates and enjoy a dog or two? Let us know in the comments below!